Colin Jones of Professor of History at Queen Mary University of London. 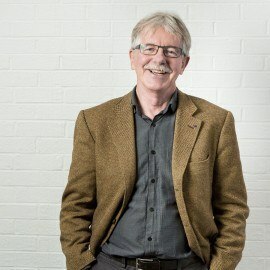 He is CBE and a Fellow of the British Academy. 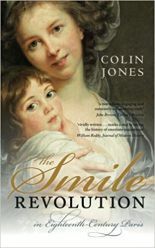 His most recent book, The Smile Revolution in Eighteenth-Century Paris (Oxford, 2015; pbk 2016), was widely praised and listed in book-of-the-year lists for 2015 by many national media. 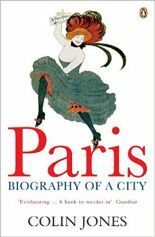 He specialises in the history of France, and his numerous early books include The Great Nation: France from Louis XIV to Napoleon, 1715-99 (Penguin, 2002); Madame de Pompadour: Images of a Mistress (National Gallery, 2002); Paris: Biography of a City (Penguin, 2004: winner of the Enid MacLeod Prize); and The Saint-Aubin ‘Livre de caricatures’: Drawing Satire in Eighteenth-Century Paris (Voltaire Foundation, 2012). 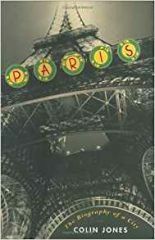 His latest book is Versailles, published in August 2018.